Blackthorne, a listing and sales management application for eBay sellers, will shut down next year, eBay announced today. In a message posted in the Seller Information Center, eBay told users it will retire the Blackthorne software on Sept. 30, 2014. Starting March 31, 2014, eBay will no longer introduce new features or provide technical support for the tool, the company notes. Blackthorne, offered in Basic and Pro versions for a monthly fee, lets eBay sellers create and manage listings on their local hard drives, as well as track sales and manage communication with buyers. While eBay provides similar capabilities for free in TurboLister, Blackthorne's ability to manage listings in bulk remains a key attraction for many of its users. To help Blackthorne subscribers through the transition, the marketplace is encouraging them to explore alternative listing solutions, such as those offered by Auctiva, a third-party certified eBay provider. Auctiva's Web-based eBay management suite offers many of the same capabilities Blackthorne users depend on, including the ability to save your data for as long as you need it. Additionally, sellers who like keeping their listing data on a local drive can use Auctiva's import feature to upload listings from a spreadsheet to Auctiva.com, then edit and post or schedule them in bulk. "While Blackthorne's closure is unfortunate for its users, we think we can provide many of the features and capabilities those sellers have enjoyed with Blackthorne, and we welcome their business," says Auctiva.com Product Manager Rebecca Miller. Blackthorne's planned closure will come 15 years after eBay acquired it in 1999. 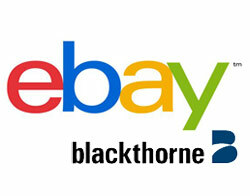 Blackthorne operated as a subsidiary until 2008, when the business was folded into eBay. The application's creator later founded SixBit Software, which helps sellers list on both eBay and bidStart. We may prefer a web based listing & inventory tool. Learning & managing a SQL db & maintaining the hardware to support it is more taxing of our energy, resources & time than we have or care to give it. Auctiva is more aggressively self-promotional on our listings than our comfort level is willing to accept, though. We did briefly enjoy the use of their scrolling gallery in our listings. With unease, we accepted the Auctiva name added to the top of each listing. However, when they began promoting a 2nd Auctiva brand on our listings, we cut that tie. Auctiva does not offer a listing field that is very important to me, and that is the Custom Label feature available in Turbo Lister. I would be happy to use Auctiva if they offered a non-web based tool set, because I am not always in a location that has internet, and I need to be able to work on my new listings wherever I am. I realize Blackthorne and Turbolister were database tools but it has to be possible to build at least a simplified software package like them for a reasonable price... My sales volume is low enough that I refuse to pay $35/mo + for the other options I've found.